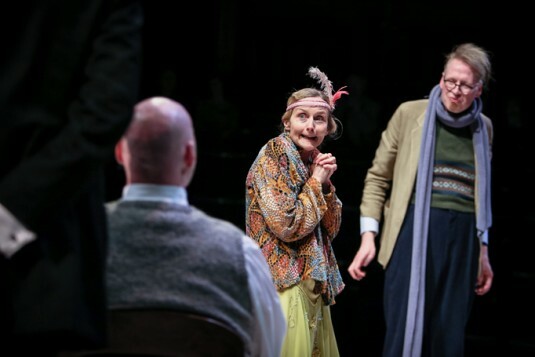 This wonderfully-scripted, theatre-in-the-round version of the Ealing comedy film classic has been achieved by pooling the considerable talents of North Staffordshire’s New Vic and the Hull Truck Theatre company. 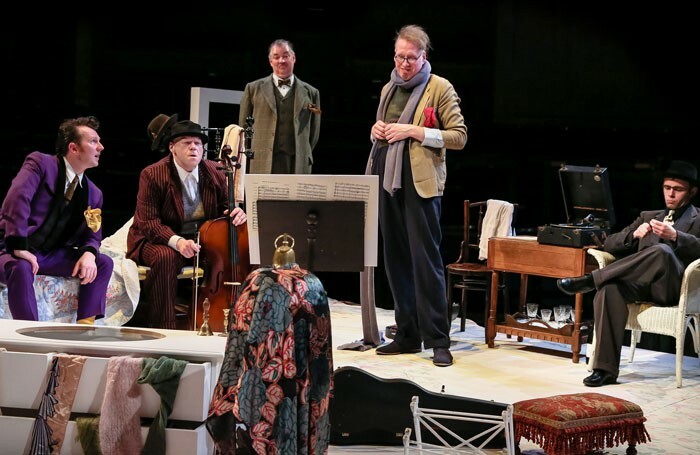 The potent union delivers a truly entertaining play which, under Mark Babych’s masterful directorial hand, builds beautifully and leaves even those familiar with the comic tale wondering just what might happen next. 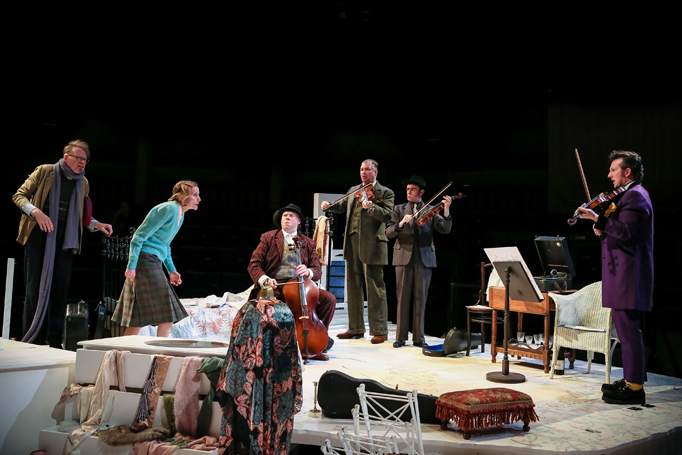 The cast of quirky characters exhibit their eccentricities on a set by Patrick Connellan that is as crazy as they are. This includes an ‘underground’ loo and a cut-down wardrobe seemingly capable of accommodating any number of people and musical instruments. All of which perfectly fosters the feeling of madcap mayhem that abounds. 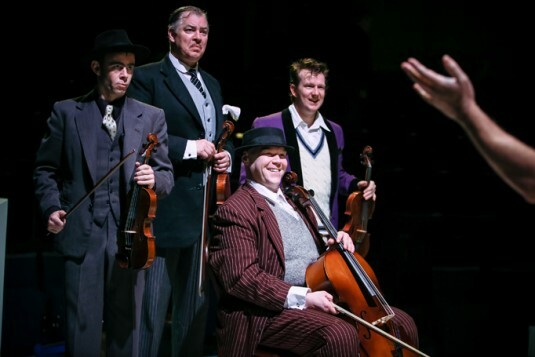 But while the first half cleverly sets up the story of bungling crooks posing as musicians after a major robbery in true knockabout style, the story becomes increasingly dark, with the laugh-out-loud humour turning decidedly black towards the play’s dramatic climax. The star of the show is, without doubt, Andrew Pollard, who is totally captivating as the brains behind the heist, Professor Marcus. 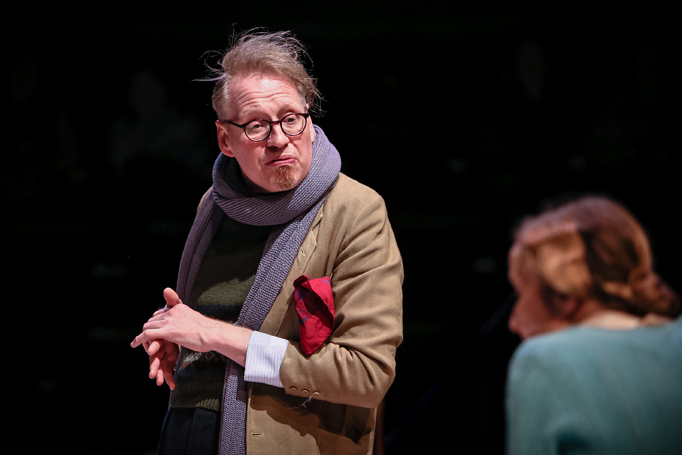 His nutty professor bearing, complete with wild hair and an over-long scarf that will speed his demise in the end, is a joy to behold. In fact the cast invests all the crooks with such endearing qualities that you actually care about them and pity them in the final reckoning. Central to all their shenanigans, of course, is their intended saviour, Mrs Wilberforce, exquisitely played by Anna Kirke.